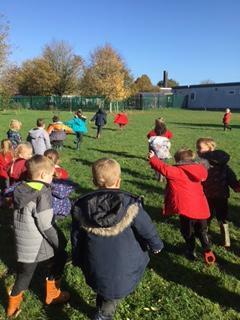 We are so proud of how well the children have settled in this term following the exciting and successful transition programme. 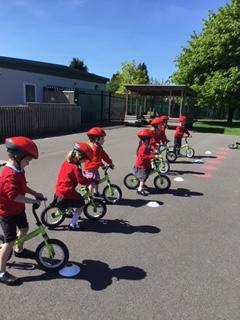 The children are building in confidence and becoming more independent with many children now coming into school on their own! 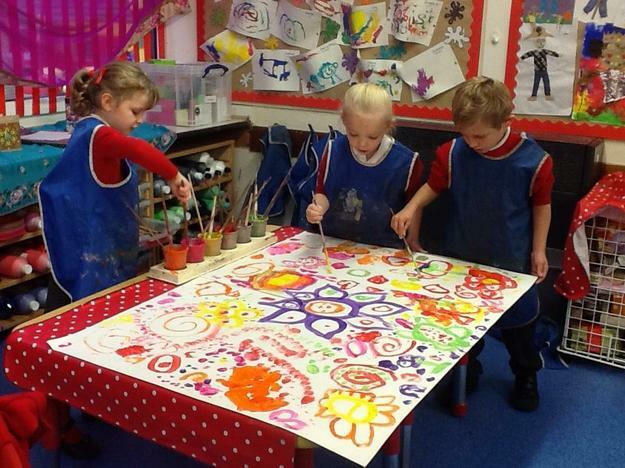 During the Autumn Term we have offered the children a rich and stimulating curriculum through the topics of 'I am special' and 'Let's Celebrate'. In Literacy, we have enjoyed sharing a wealth of wonderful stories as a stimulus for work. During Read, Write Inc, we are learning our letter sounds, and how to blend sounds together to read simple words. 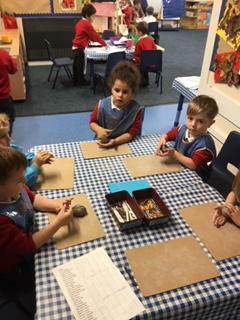 We have been exploring mark making, and trying to use initial sounds in our writing. In Maths Mastery, we have focused in detail on one number per week. 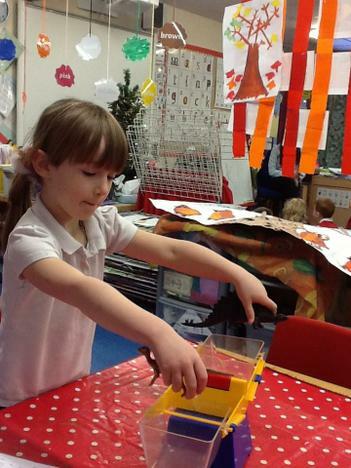 We have explored each number in depth including learning to read, write and recognise numbers to 10. 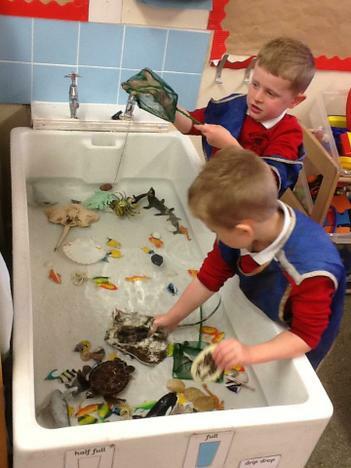 Take a look at life in Reception! 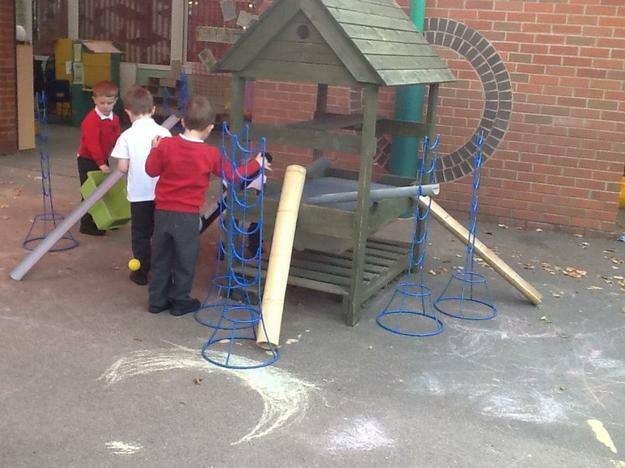 Look how exciting Reception is! 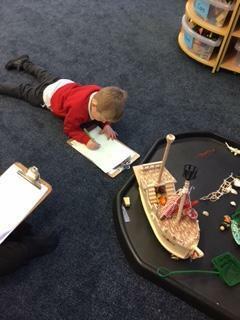 Learning through exploration. Watching tadpoles. Researching animal habitats on the Ipads. 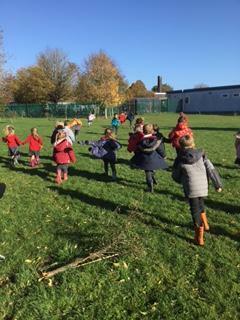 Role play - crossing the road. We love reading in the library.